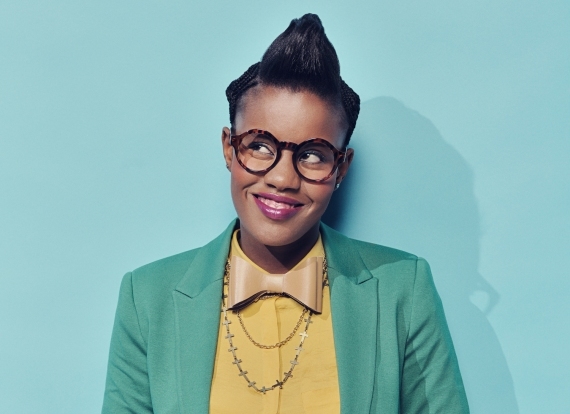 Hailing from eMahlabathini near uLundi, KwaZulu-Natal, South Africa, Toya Delazy has made a real impact on South African Top 40 Radio with the release of her debut and follow-up singles ‘Pump It On’ and ‘Love Is In The Air’. Brought to the attention of Sony Music Africa by A&R scout Vusi Leeuw of H.U.G.E. Entertainment in 2011, the talented young singer-songwriter trained as a jazz pianist but Toya’s more recent influences lie somewhere between Hip Hop, Electro, Alternative & Pop. A deal was signed with Sony and just over a year later, the young artist is preparing for the release her debut album - Due Drop - out on 16 April 2012. Due Drop includes seven tracks produced by one of most the creative production forces in the SA music industry today, Jax Panik; and a further three songs produced by exciting Joburg based production duo Octave Couplet. Due Drop also includes ‘With You’, a duet with local a cappella sensations The Soil, as a bonus ‘Intro’ track to the album. Playlisted immediately on 5FM in October, the gritty pop anthem ‘Pump it On’ has been added on all major radio formats, appealing to both urban and contemporary audiences and broke new crossover ground when added to Metro FM. With over 1600 plays since its launch, ‘Pump it On’ quickly climbed into the Top 10 of both local and international chart shows, and continues to impact. Similarly, second single ‘Love Is In the Air’ is climbing the 5FM Top40 (currently #3) and has been added across regional radio country wide – going Top 10 on the SA Media Guide chart. The video, which went straight onto high level rotations on Channel O, MTV Base & Trace TV - conceptualised & directed by Justine Puren for Velocity Films - captures the vibrant, colourful and youthful essence of the track. This is a philosophy that caught the attention of Reebok South Africa and Toya Delazy was named Reebok Brand Ambassador for 2012. “The partnership between Reebok Classics and Toya de Lazy is explosive! Toya is a fresh young and energetic artist. By collaborating with someone gifted with such immense talent and vision will only add to the momentum that Reebok Classics is building," said Steve Young, Marketing Manager of Reebok South Africa. Toya’s musical career started with classical piano at age nine and developed into her enrolling in the Jazz program at Howard College UKZN in 2009. She sights classical influences like Debussy's 'Clair de Lune' as responsible for “unlocking my creativity and influencing the way I construct my chords…and helped me tremendously when it comes to playing by ear and composing music.” A relatively conservative upbringing meant exploring more contemporary genres came only after leaving school, but Toya recalls that watching movie ‘Sister Act’ at a Convent primary school in Eshowe, KZN as a truly inspirational experience for her.